It’s that time of year again — less than four weeks until the AGM. So that means we need nominations for committee positions. Download the Committee Nomination Form 2008, complete it and get it back to the Secretary by Wednesday 25th June 2008. The membership list on the members page has been updated with our recent new members, so be sure to grab a copy and update your records. The club now has over 40 members — first time for a while! Also in news, the Albany Model Railway Association are holding the Albany Hobby Expo again this year over the middle weekend of the October school holidays. The N‐Scale boys at the club are keen to exhibit and are planning to take down Weepy Junction — with a new station module and hidden fiddle yard. 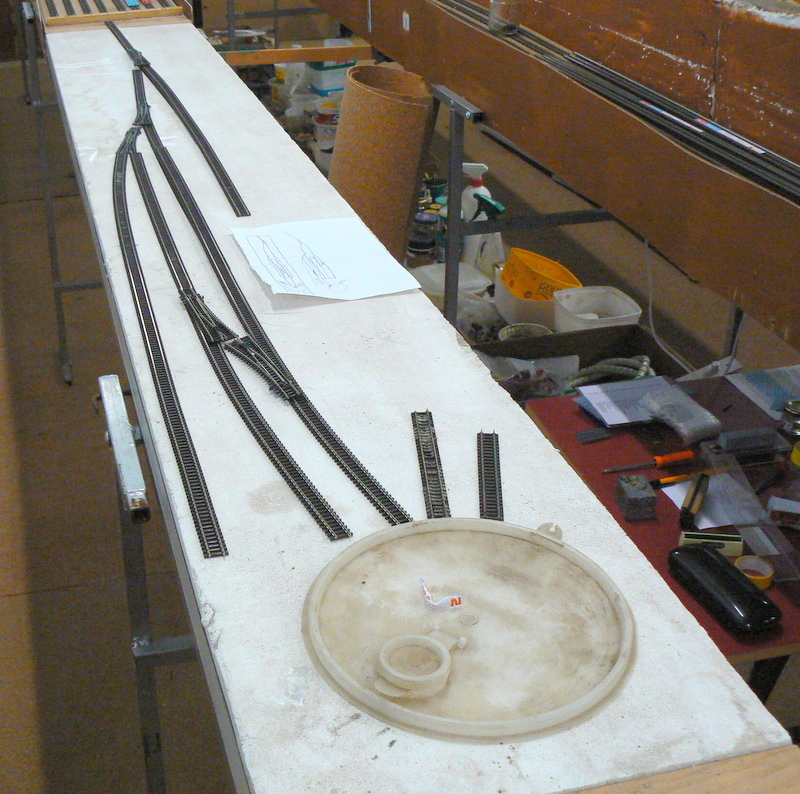 The image above is of a test track plan — using a plastic lid as a turntable substitute! This entry was posted in Club Activities, Meeting, Members, Web site update by admin. Bookmark the permalink.